Brilliant team goal by the French. Goalkeeper Hugo Lloris passes to Kante at the edge of the French box, who moved the ball forward and passed to Griezmann. The Atletico Madrid forward played a one-touch pass to Matuidi who took the ball forward into the Argentine half, then played a pass to Giroud in the final third who played a perfect waited pass into the path of Mbappe. The young star picked his spot to give France a deserved 4-2 lead against Argentina. 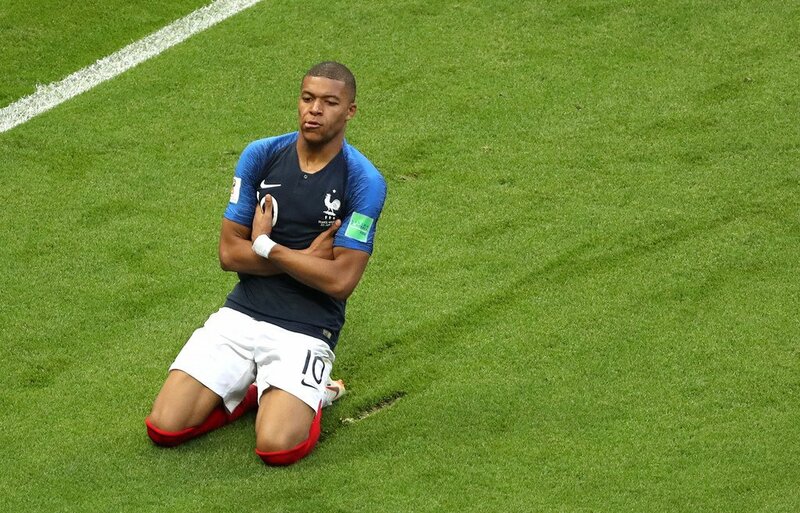 Mbappé joins Pelé as the only teenagers with a multi-goal game in a WorldCup knockout stage match. He is the 3rd-youngest player with a multi-goal game at the WorldCup behind Pelé (twice) and Manuel Rosas.